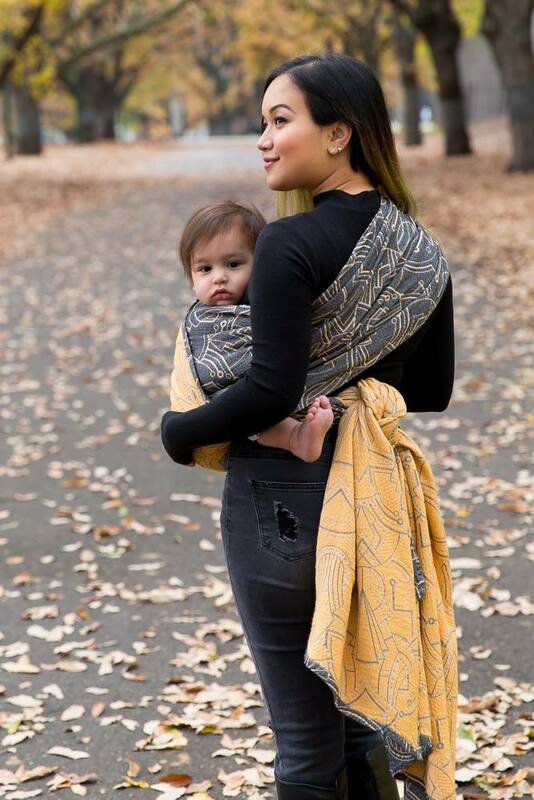 Adam and I had the honor of modeling the Wrapture's soon-to-be-released wrap, and it also happened to be the first time I had ever used a wrap by Australia-based Wrapture! I used Empire Metropolis not just during the photoshoot, but for a couple of hours afterwards as well. There was a Wrapture gathering scheduled for right after the shoot, and Adam took a very long and comfy wrap nap as I socialized and made new friends, which is always fun! 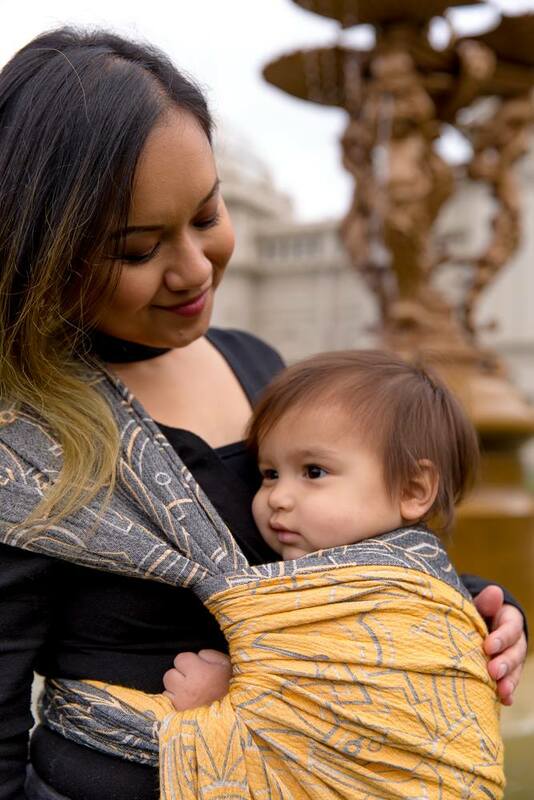 This wrap is thin in hand and already so floppy when I used it. In my base size, it was easy to wrap with, and not overwhelming at all. It definitely has more glide than grip, which made the Poppin's carry a little bit difficult to adjust because the passes just didn't stay put! But because it has minimal stretch and therefore zero sag, it stayed put once the entire wrap job was tied off. 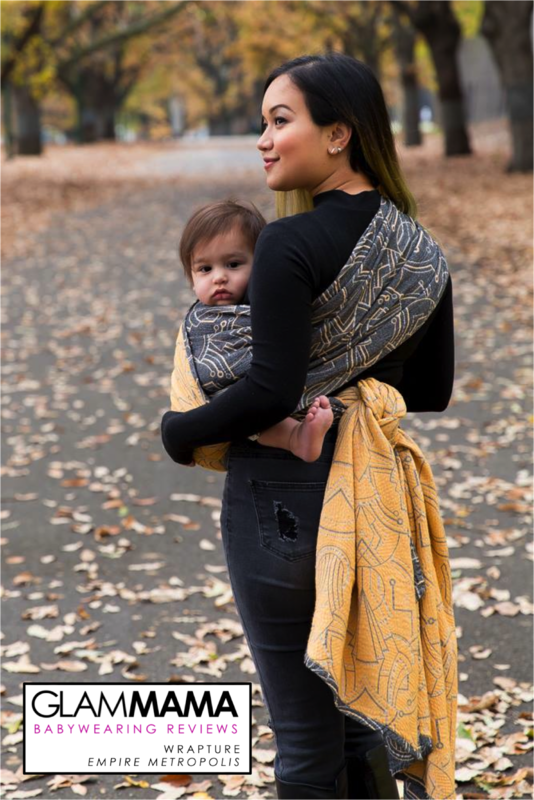 Sturdy and thin, this would be a great wrap to have in a base size but I imagine it would be lovely as a shortie as well. Now, as I mentioned before, I only tried it in a Poppin's carry, but Empire Metropolis was wonderfully supportive despite the one-shoulder carry. There was no soreness at all on my picky shoulders. 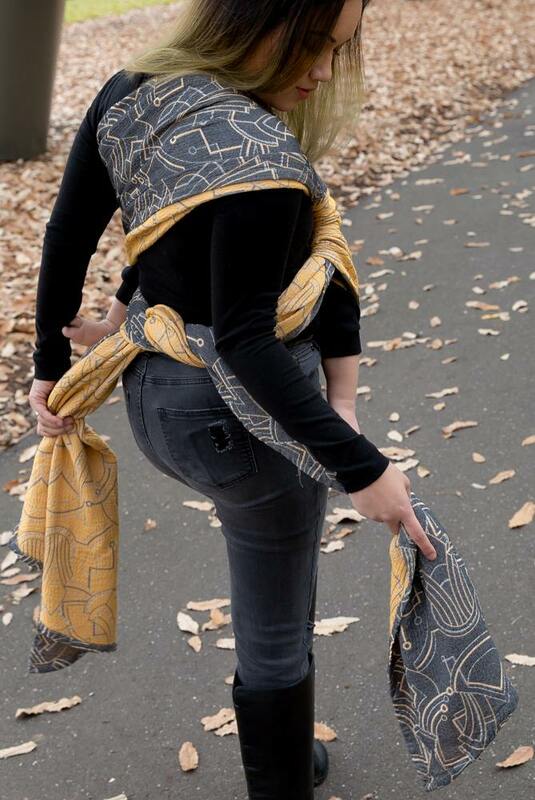 Bear in mind that one-shoulder carries are not my usual option for long durations, but it is such a photogenic carry, and perfect for showing two sides of a wrap! And I'm telling you, both of Empire Metropolis' sides deserve to be showcased. The grey side has an almost denim look to it, which adds a more modern and contemporary vibe to the otherwise retro, Art Deco style of the design. Now, the yellow side...what can I say? It's a beautiful shade of yellow. Warm and almost marigold in some light, it's the only kind of yellow I would dare to wear. A bit of trivia here: Wrapture custom-dyes all their yarn, which results in complex and rarely-seen colors for their wraps. 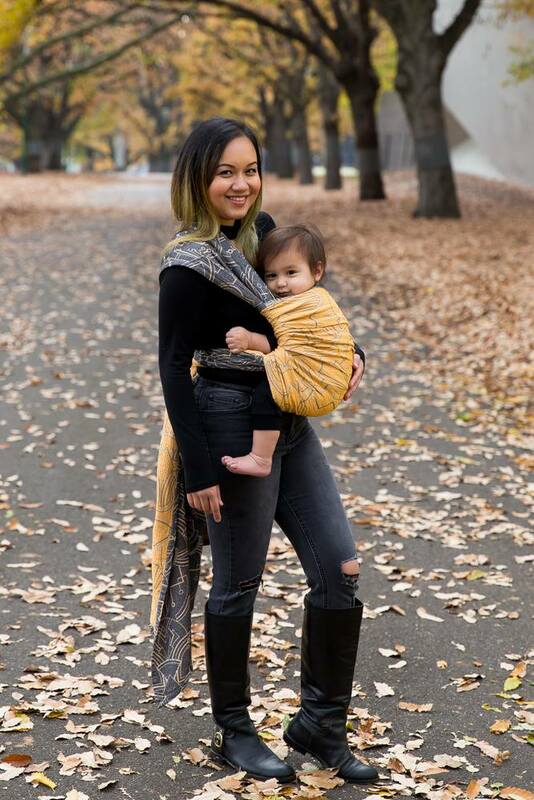 Natasha, who runs Wrapture, has an eye for colors, and it definitely shows in this wrap! 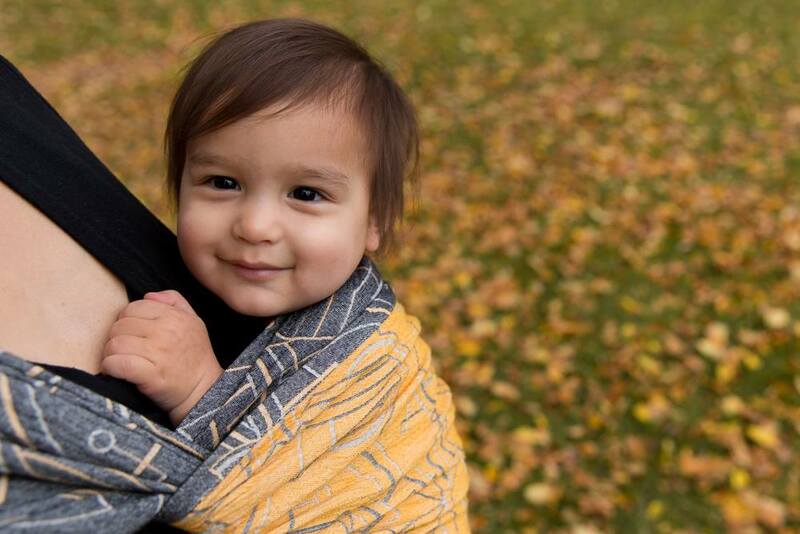 The texture of this wrap is stunning. 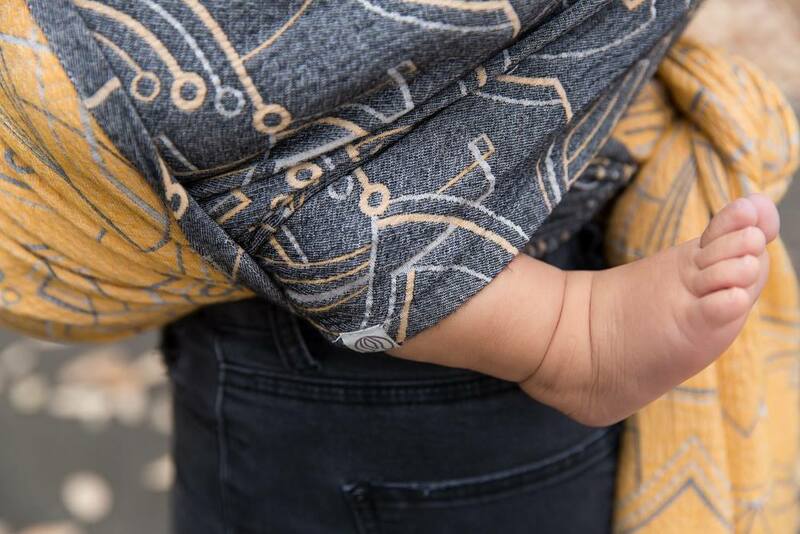 I am a sucker for geometric designs, so I was already in love with the wrap from seeing it in photos, but when I finally saw it in real life, I was blown away by the texture. It really adds something special to an already stunning design. While the design clearly pays homage to the world of Great Gatsby, I can't imagine myself pairing it with a flapper dress, long gloves, and feathers in my hair. I can, however, imagine walking through the a metropolitan city with my black jeans with Adam on my back in Empire Metropolis. 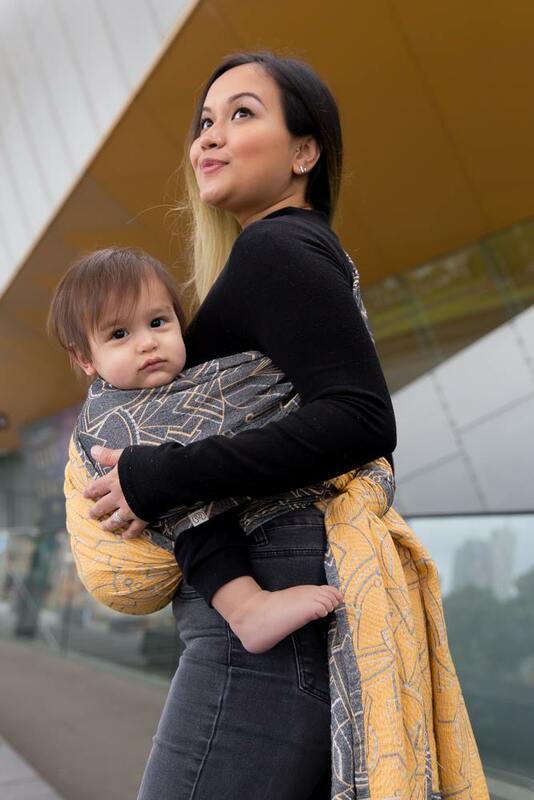 Wrapture Empire Metropolis will be available in person at the Wear All The Babies Conference Vendor Marketplace on the 22-23 July in Brisbane, and there will also be a Random Draw for any remaining wraps, which will open on July 23 and will be drawn on July 24. If you're interested in knowing more about Empire Metropolis, CLICK HERE to go to Wrapture's Facebook Page for more information on it's release, including prices. 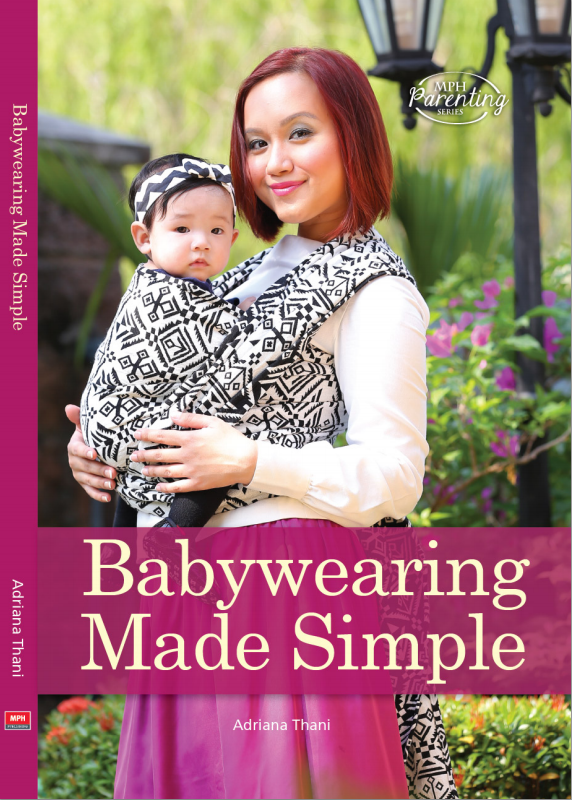 Don't forget to join Wrapture's chatter group, Wrapt Up, as well! 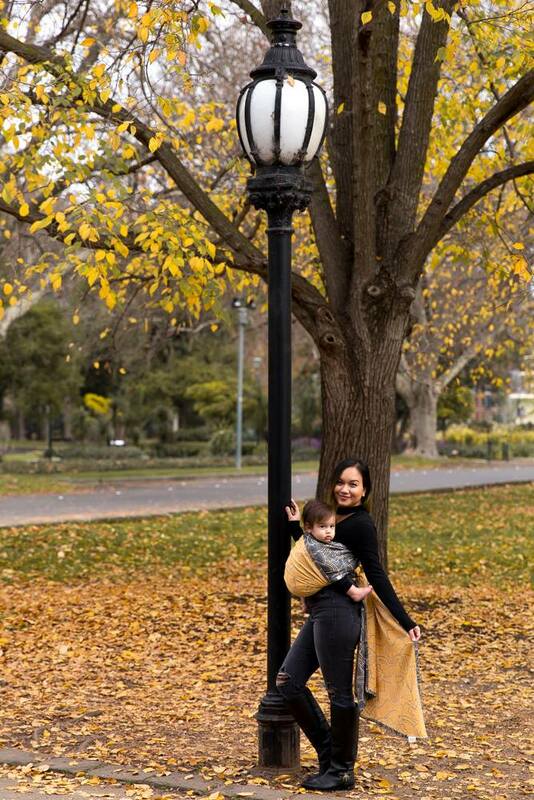 ALL PHOTOS in this post were taken by the amazing Mel of Mel Muller Photography for Wrapture. 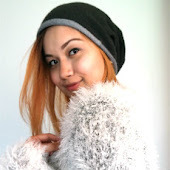 Check out her website HERE and her Instagram HERE. Posted with permission. Scroll on for more photos!